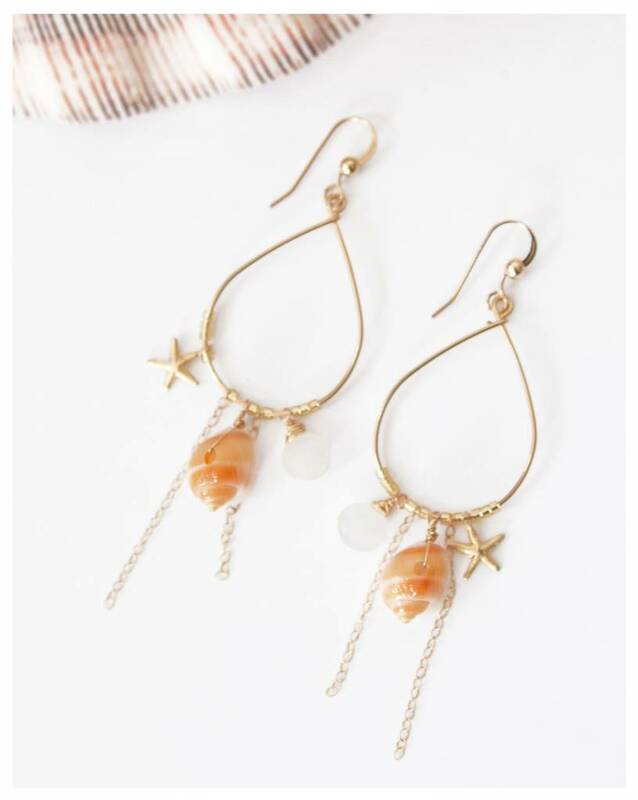 14k gold fill earrings with orange frog shell, gold fill starfish, and rainbow moonstone. 1.5" hoop to bottom of shell. Made in Hawaii.